Russia is going to introduce an embargo on the majority of Ukrainian goods in response to the Association Agreement with the EU coming into effect. 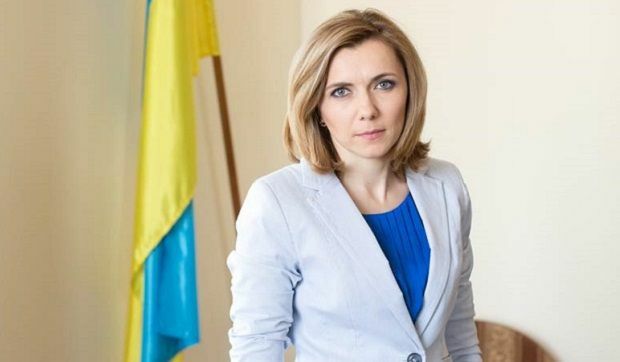 Ukraine’s Trade Representative, Natalia Mykolska, has told UNIAN, how the country can compensate for these losses and what markets are willing to open up to our exporters. The outcome of our Kazakhstan trip is a renewed dialogue at the highest political level, taking into account the objective specifics of the Kazakh market, given that there is quite a significant role of the state in many business processes. It is important for us because it shows that there is a strategic vision of partnership between Ukraine and Kazakhstan. Top agenda included joint work on paving the way of the Ukrainian goods to China circumventing the Russian Federation - an alternative route through Georgia and Kazakhstan to the northern provinces of China. At this, part of the Ukrainian products will stay in Kazakhstan market, and another part will be transported further to China. The parties also discussed the resumption of cooperation in the engineering industry, as well as the joint ventures, some of which will set up production on the territory of Kazakhstan for the Asian market, while some will establish production in Ukraine for the markets of Ukraine and the European Union. This means that part of the products will be assembled in Kazakhstan, and some - in Ukraine, and then there will be a so-called final assembly and delivery. As for Kazakhstan's Eurasian ambitions, is there a risk of losses to Ukrainian exporters, is certain inconvenience possible in this market? We are already experiencing losses and inconvenience, because the restrictions of the Eurasian Economic Union apply to Kazakhstan. At the same time, we have a certain understanding that Kazakhstan does not support all the steps of the Eurasian Union. A number of measures have not been implemented in the Eurasian Economic Union only because of the position of Kazakhstan. In addition, Kazakhstan is gradually starting to lift restrictions on Ukrainian products, which have been applied throughout the Eurasian Union. Yes, our cooperation with Kazakhstan is potentially within the framework of Silk Road, but it has long developed even without the project. In the context of the Eurasian Economic Union it is impossible to bypass Russia. What limitations can the Ukrainian exporters expect from January 1, after the Free Trade Zone with the EU enters onto force, and what is the likelihood that this will happen? There is such probability. Russia has long ceased to be our trading partner. Since 2014 it has been introducing restrictions on Ukrainian goods, one way or another. Today, the Russian Federation accounts for 7% of our exports decline, which in 1H 2015 totals 35.6%. If we look at the structure of exports, it becomes obvious immediately, in which areas Russia has introduced unreasonable restrictions. In mechanical engineering there is not even a several-fold decline, it’s a many hundredfold plunge. Metallurgy, food processing, chemicals and timber... Currently only the share of our agricultural products to Russia is just 1.9%. That’s one crazy fall. There are also plenty of smaller bans… The Russian Federation has already stated that from January 1, we’ll be challenged by two interesting things: the first is the raised duty, that is, exit from from the free trade regime on a number of goods, and the second is the embargo. Regarding the other countries, the embargo was introduced in response to the sanctions, while regarding Ukraine it is linked to the Association Agreement taking effect. Despite this, the embargo and exclusion from the free trade regime will objectively not significantly affect our economy, as almost all the products that fall under the embargo, has already come under restrictions. As for the raised duties, they don’t automatically stop the export of goods, it means the decline, since our products will become less competitive. Exporters, themselves, say that they are not interested to invest large resources in Russia, just to see their products left on the shelves. It is already clear that the Free Trade Zone with the EU will not be able to quickly compensate for the fall in exports to Russia. How are the negotiations going on trade cooperation with other countries, in particular the Middle East? We definitely need to look for compensators. The market of the European Union is very interesting for our producers, because it has a high margin, with a huge amount of customers. Secondly, there is a very high level of income. Meanwhile, exports to the EU over the last six months have fallen by 35%. The first factor is that the European market is saturated with agricultural products, because of the Russian embargo. Accordingly, a significant part of the goods, which had been previously exported to Russia, remained in the domestic market. Because of this, domestic demand in the EU is weak. The second point is the pricing within the European Union. The volume of our supplies of a number of goods declined money-wise. Yet a significant drop in exports from the Donetsk and Luhansk regions should be noted. That is, the European market is interesting and important, but entering it takes time, while holding our positions there requires a step-by-step approach. At the same time we have a few problems. Firstly, it is necessary to modernize production of industrial products and to get authorization for exporting agricultural goods to the European Union. Work is under way to provide for our dairy products to gain access [to the European markets], because this is the next area of ​​potential growth. Once our dairy products are granted access, we will work on supplying agricultural products with greater added value. For example, on exporting ketchup, rather than tomato paste. In fact, there are certain plans to work with the European Commission on the issue of building closer ties between the businesses. No matter how much the governments negotiate, there will be no growth in trade until businesses start to talk. Middle East and Northern Africa is very interesting for us, because it is - an objective compensator for agricultural and industrial products. Iran is a very interesting market. After the sanctions are lifted, it will become attractive to all of our manufacturers. A visit to Iran of the Minister of Economic Development and Trade, together with the Ukrainian businesses, which we call a Trade Mission, is scheduled for December. Now there is an ongoing coordination of the visit at a state level. There’s also great interest in resuming business ties and increasing our exports to Egypt. This country is our market, historically, because there is a lot of the Sovier engineering equipment in Egypt, and it has a very good reputation. In addition, Egypt and other African countries are interesting in terms of food supplies. Potentially, we are interested in North African Republic and Nigeria, with their large consumer markets. There are rumors that there is opposition in the EU to the expansion and provision of quotas for Ukrainian agricultural products. If there is such a situation, what is being done in this direction? We are well aware that the European Union has granted Ukraine unilateral trade preferences, which is quite a unique step. For some commodity nomenclature we have used in full the quotas provided by the Association Agreement. At the same time, we believe that a dialogue should be launched with the European Union on increasing the volume of bilateral trade, which can take place in various ways, for example, by accelerating tariff reductions. We can also potentially talk about how to establish some kind of quotas which will be used to supply products with a duty lower than the existing one. We can talk about the fact that some products are not exported at all, so we need to find out the reasons and understand why it is so. Perhaps, we should establish a business dialogue in this areas. Once again, I want to stress that a quota does not equal a ban on exports. Quotas only mean that certain items can be exported at a zero rate, while the rest can be exported to the EU market at a standard rate. Therefore, we are now talking at the governmental level about the need to start an official dialogue between the government and the European Commission, which will address improving bilateral trade. It's no secret that the EU also experiences a drop in the flow of goods to Ukraine. For example, we are also interested in replacing some items previously imported from the Russian Federation on imports from the EU. What are the government's plans for the conclusion of agreements on free trade zones with other countries? Which ones are approaching, and which of them may take longer time to be agreed? There are three additional negotiation processes. Two of them are in the active phase, and another one is yet unlcear, that is, we "compare notes" with our partners. The first two are active negotiations with Israel, which will now be intensified, and with Turkey. With Serbia we are "comparing notes." As for Israel, the expert level consultations are scheduled for the near future, and the same situation is with Turkey. After that we can decide at what stage of the negotiations we actually are. At the same time I must say that the investors are paying more attention to Ukraine in terms of the placement of production capacties to set up supplies to the European Union. This regards Kazakhstan and China. For these intentions to become reality, it is necessary to work on the creation of a favorable investment and business climate. Now we are working on a Government’s draft plan for 2016, with the main idea to make 2016 a year of building a foundation for growth. In 2015 we used extraordinary measures to provide for macroeconomic stability, including the additional import fee, currency restrictions, and a ban on the withdrawal of dividends; but in 2016 not only are we obliged to lift these restrictions, but we also have to create the conditions for business. What is the ministry sees export policy? It will support a potentially promising sectors, or it will be an overall improvement in the business climate in the field of foreign relations? Our main idea is a one level playing field, that is, the same working conditions for businesses. We are considering the idea of ​​creating export processing zones and technology parks across Ukraine. As for the export processing zones, we don’t just have in mind creating them for specific types of production. If we go this way, there will be clearly set criteria, control, and conditions. Taking full advantage of our investment attractiveness in connection with the entry into force of the Free Trade Zone with the EU depends on how effective we will be at the end of this year and in early 2016 in facilitating business procedures at the national level. No investor will come to us if they see that the procedure of import of components and the export of goods is so complex that overwhelms all the privileges of the Free Trade Zone. Therefore, VAT refund to exporters, facilitation of customs clearance and customs-related procedures, as well as forex regulation – are prerequisites for the increase of the Ukrainian exports. What are the plans of the Ministry on building financial infrastructure to support exports? Together with the Ministry of Finance (Artem Shevalyov, Deputy Finance Minister), we are now working on the concept of financial support for Ukraine’s exports. It provides that the state support system will consist of two institutions. The first would be Ukreximbank, which in the framework of reform of state-owned banks will be transformed into a bank with the main function of servicing exporters and importers. The second institute could be called an export credit agency, an export insurance agency, with the main functions of insuring and guaranteeing operations. That is, the institution will not interfere with Ukreximbank financially, it will be independent. The Finance Ministry has supported the idea. We carried out a feasibility study of the agency’s authorized capital and its corporate structure. Now we are in the final stage of approval of this concept with the the Finance Ministry and Ukreximbank. I think that in the near future, the concept will be agreed, ane we will be able to present it. We have full understanding with the Ministry of Finance on this issue. Secondly, Natalie Jaresko (Minister of Finance) has directly stated at YES conference that she sees one of the key ways to lift the Ukrainian economy in raising the volume of our exports. Bur increasing exports is impossible without tools of financial support. It is very important for medium-sized businesses, while for big businesses it means cheap financial resources. But we can’t fool ourselves that the export credit agency and Ukreximbank may provide resources to all exporters. We need the government and the National Bank to work on the stabilization of the financial and banking system, as with no affordable credit available our businesses won’t make money. Macroeconomic stabilization in 2015 is something which we can’t do without. Measures taken by the National Bank are resulting in an increase in the financial resources, which we are going to allocate for the exporters. Regarding the liberalization of forex regulations for the exporters, when can the restrictions be lifted? Now we have a fairly good dialogue with the National Bank. As the economy stabilizes, they will gradually lift restrictions. The first step was abolishing a weird requirement to provide certificates on absence of debts on tax funds to buy foreign currency for every transaction. After we have discussed this issue with representatives of the National Bank, it appeared that the requirement was meaningless. The next step could be reducing a threshold of selling currency, or permitting use of the incoming currency for payments or satisfaction of liabilities in foreign currency. At the same time, there should be less documents to submit when buying foreign currency. National Bank is an independent body. The Government has no direct influence on it, but we can come up with proposals which the National Bank discusses quite actively. Let's not talk about the time frame because we have an agreement with the National Bank this month to talk about the situation on the currency market. Can the exporters hope that forex restrictions will be lifted in the next year? Without the liberalization of the restrictions we will not see growth in exports. At least, this is my basic understanding. In connection with the economic crisis and the need to change the structure of the economy, which industries may be the flagship of Ukrainian exports in the coming years? We must not forget about the so-called “buffer” industries. I call them this way, because they are the ones which give us an opportunity to get foreign currency. To this category belongs the agricultural sector. Historically, there are industries that provide for large amounts of exports: metallurgy, chemistry, mechanical engineering, timber, industrial goods and light industry. That - those whose work makes it possible to obtain currency. In the first half of the agricultural complex has provided 35% of total exports, metallurgy - 37%, machinery - 11.8%. We have some interesting areas where we show sufficient gains. There was growth in exports of soybeans, rapeseed oil, meat products, and spare parts for telephones. We have increased exports to the EU of the following items: phones and equipment for mobile networks, insulated wires. We say that our businesses are finding their place in the chain of added value, producing spare parts that are used to assemble finished products by large enterprises in the EU. Everyone is familiar with the Ukrainian plants with German investment, which produce spare parts for the car industry. We can definitely see the boost there. The growth is also possible for agricultural products with greater added value. Now we are exporting raw products, but we definitely have plans to build processing facilities along with the construction of port capacities, so that we could export processed products, rather than seeds. Therefore, our future is for the Ukrainian enterprises to be part of the global and regional value-added chain of industrial products and increase the share of agricultural value-added products. Export of services is underestimated. Services take up only 17% of our total exports. This means that we have a large area for ​​growth here. Again, when we talk about services, we should not forget that this is not just IT-services, it is medical, and educational, and transportation services, as well as tourism. Have you conducted research of the role which the events in the east of Ukraine played in a general decline in exports? We have analyzed it. We have a breakdown of exports by region. It showed that the drop in exports from Donetsk and Luhansk regions amounted to 16% of the overall 35% fall. Of course, the situation in the east has affected the Ukrainian exports. Everyone thinks of the Donetsk and Luhansk regions in terms of exports of metal and coal. But exports from the Donetsk and Luhansk regions are also agricultural products, ceramics, machinery, and fertilizers. This is a significant share in our production. Those companies were in production chains. Accordingly, halted production has led to further consequences. Unfortunately, even before the war in the east, the pricing environment was playing against us, because there was a drop in prices of agricultural commodities, ore, and metal. If we look at the ratio of exports of goods and the amount of money, the number of positions saw a slight increase in the amount of goods, while we suffered losses money-wise. Secondly, there was a drop in global trade. In fact, in 1Q 2015, global trade fell by 1.5%. Key factors of a 35% drop in exports are the conflict in the east, the world economic situation, the lack of available financial resources and constraints in the markets of the Customs Union. Another point is a high comparison base with the 1H 2014. A regime unilateral trade preferences was introduced by the EU, ans certain growth started, so the comparison base is quite high. Can you predict when the Ukrainian exports will stop decreasing and will reemerge? We are already seeing certain macroeconomic stabilization, but it must be secured. I hope we will be able at the beginning of next year to stop the decline in exports. I really hope so, but objectively it is necessary to understand the situation in Donetsk and Luhansk regions – how devastated the enterprises are, and how quickly they will be able to resume production after peace is restored. Secondly, we need to take into account fluctuations in the world pricing environment for the main export items. But the situation is improving, and it gives hope for the large area of ​​growth.